I'm buying some 18T and maybe a DOS dual setup from eBay.com; is this the best source? Being from the UK I've bought from CharlieTheBikeMonger before, now out in NZ need a global supplier. My Mum used to give me Eno's for my sore belly. Nothing like a bit of fizzy baking soda for a tummy ache. I have an ENO eccentric hub fitted to my Endorphin framed SS. Love it. Bought it from my LBS, Burkes Cycles, several years ago. David at cyclesupplies.co.nz is the NZ importer for White Ind goodness. 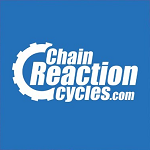 I use a set of their cranks and have a couple of chainrings for them.